Elio García is the king of the Game of Thrones fans. García his partner Linda Antonsson, co-founded and run Westeros.org, the Internet’s largest fan community devoted to the work of author George R.R. Martin. 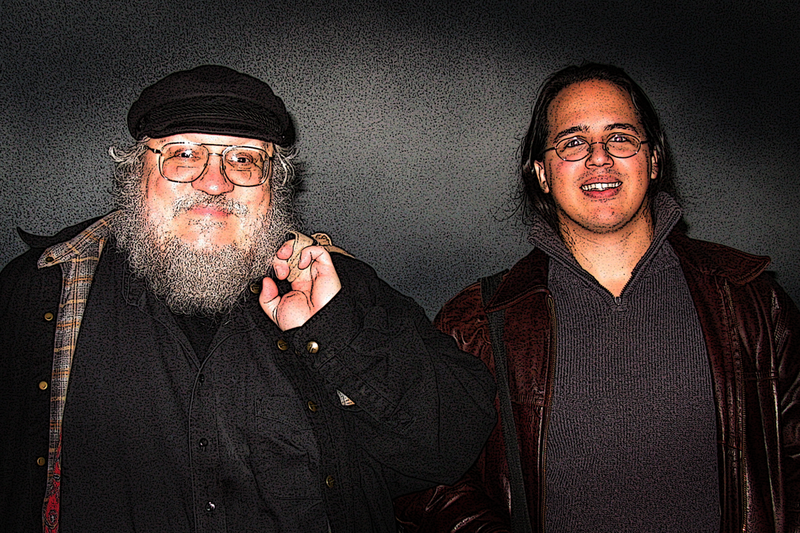 García and Antonsson have built Westeros.org into a thriving community of 74,000 registered users and two million unique visitors monthly. From thoughtful reviews to lively forums, encyclopedic wikis, and even a role-playing game, newbies and longtime fans can find anything and everything having to do with Martin’s A Song of Ice and Fire series. 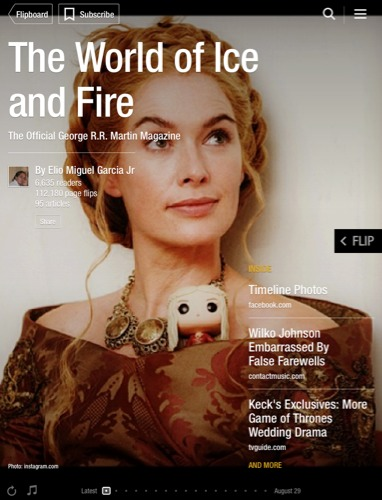 Along the way, they’ve become the go-to experts on the subject—so much so that Martin himself, along with Random House, entrusted them with the curation of the official George R. R. Martin Flipboard magazine, The World of Ice and Fire. We sat down with García to talk about A Game of Thrones, Westeros.org and the world of the fan in the digital age. How did Westeros.org get its start? After I was introduced to the series by my partner Linda, back in 1997 or so, we really got into the nascent community that existed back then. That, combined with our desire to make an online game based on it, led us to create our initial website, and also put us in touch with George. The rest, as they say, is history. 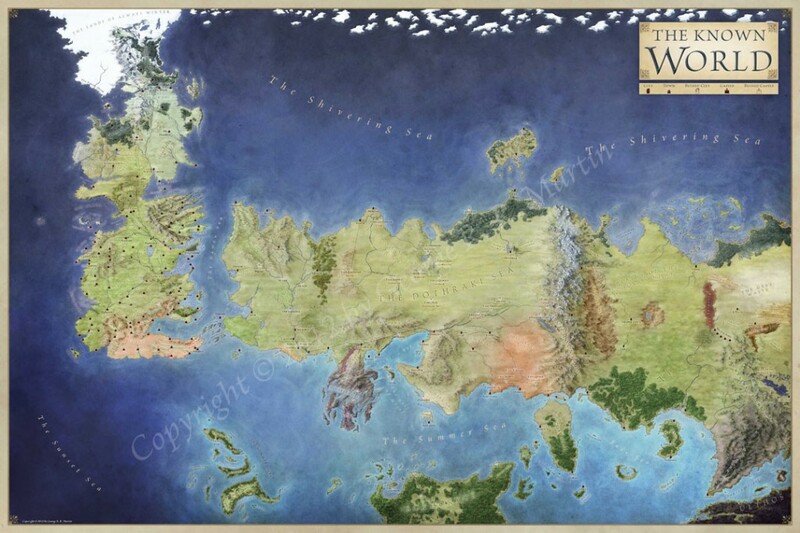 What is it that you think fans love so much about the world of A Song of Ice and Fire? What first drew you in, and what has kept you engaged? A lot of people will say that the grittiness of it is what really caught their eye, the way that the standard fantasy cliches were overturned—not least of which is the idea that there will not always be a happy ending. Ned’s death in A Game of Thrones was something that made a lot of people stand up and really realize that this was something different. I was studying medieval history [in college], and Martin’s depiction of Westeros—where you have this courtly, chivalric culture that’s really just a thin veneer over ruthless realpolitik—really appealed to me. It felt more like the history I knew than many other fantasies. What is your relationship with George R. R. Martin like? Does he really call on you with questions of continuity? We’ve met George a few times in person, but have corresponded a lot more. He’s been very generous with his praise of our knowledge of the books, and it’s true that on occasion we’ve helped pin down some detail that he or his assistants weren’t able to find. Do you feel like fans who discover George R.R . Martin through the TV show have a different take on things than those who read the books first? Is there a hierarchy within the fan community? I don’t think there’s really a hierarchy, as such, but inevitably there’s that whole, “I knew the band before they were popular” thing going on for some people. It’s absolutely true that fans who’ve only watched the show may not understand that, despite the relative faithfulness of the TV show, there are some deviations. Their perceptions are different than those who’ve actually read the books. What would be your advice to someone just starting the first book? You’ll find that the novel has the occasional appearance of romanticism that the TV show lacks, which to myself and at least some other fans is actually pretty key to our enjoyment of it. Keep an eye out for it, because…well, it’s important. How has the Internet changed fandom? What technology are you excited about from a fan’s perspective? Knowing a bit about the SF [Science Fiction] fandom of the days of yore, where everything was mimeographed fanzines and postage stamps, the Internet has made the global fan community far more connected. The conversations about the series going on around the world are pretty amazing, thanks to the Internet. As far as technology goes, the social media explosion has really been something remarkable to see. The role that Twitter, Google+, Facebook, and so on have in engaging and connecting fans has been tremendous. You’re now working on a book of your own. What is that going to be? We’re working with George on a sort of historical guide to the setting, titled (of course), The World of Ice and Fire. It’s written from the point of view that this is a scholarly work of a maester at the Citadel. He draws on many sources, sometimes quoting texts from his predecessors, sometimes throwing in critical commentary. Besides that, it will be lavishly illustrated by a number of critically and popularly acclaimed artists—it’s going to be gorgeous. What’s the most bizarre critique you’ve heard related to the show? The ones that always gets me shaking my head are those that simply have no notion of what production like this really entails. Whatever its faults (faults we’ve highlighted in plenty of our reviews), in terms of production it’s the most ambitious and complicated TV series filming right now. The idea that somehow they should be able to do all this, plus film two additional episodes, plus have massive epic battles like the Lord of the Rings, just flies in the face of reality. The show takes a year to manage 10 episodes, because it’s filming in four different countries with multiple units, it has to juggle a massive cast, it has so much set building and effects work, and of course it has only so much budget (a very large budget by TV standards, maybe as high as $70-80 million a season now). That it’s managing to give viewers 10 hours each year is quite an accomplishment. The character Hodor has a surprisingly large fan base. Are there any other characters or events that seem to universally resonate with fans? Hodor is definitely quite the phenomenon. A character introduced in this coming season—Prince Oberyn Martell, the Red Viper—definitely has his adherents, and I’m quite interested to see how he comes off on screen. Among the fans on our forum at Westeros.org, I have to say there’s always been a weird thing about Randyll Tarly, a character not yet introduced in the show. He’s like the Chuck Norris of A Song of Ice and Fire, according to our forum community. Do you know how the series will end? Sure: 1,000 pages of snow blowing over graves. Just kidding; that’s a joke we stole from George. We don’t know the actual ending, but have some strong suspicions. One thing we’re sure of, though, because George has said so: the ending will be bittersweet. Check out The World of Ice and Fire by clicking on the cover below.